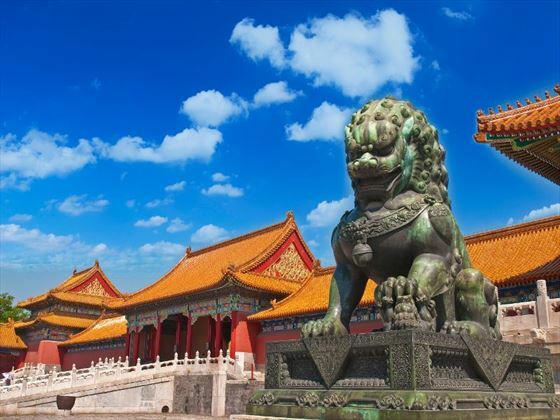 Stopping by Beijing, Shanghai, Xi’an and Chengdu, this fabulous 16-night tour give you the chance to explore some of China’s most vibrant and exciting cities. Starting in Beijing and ending in Shanghai, our personal highlight is the amazing Yangtze River cruise, which sails to the jaw-dropping Three Gorges and through the picturesque Xiling Gorge. There’s ample opportunity to discover how the locals live during this trip. Tuck into a delightful homemade lunch with a local family, watch people practising calligraphy in the streets of Chengdu, and have a go at creating your own delicious Sichuan dinner. 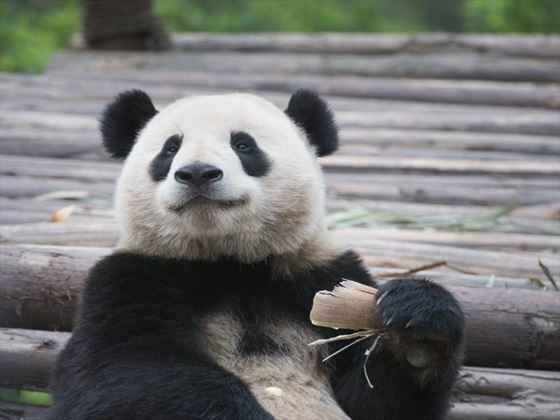 Visiting the Chengdu Research Base of Giant Panda Breeding is an unforgettable moment on this tour too, as well as exploring the Terracotta Warriors, Shanghai’s Bund, and the Great Wall of China (TT). Once you’ve arrived in Beijing, you will be transferred to your hotel ready for welcome drinks and appetisers with your Travel Director and fellow travellers. Your first visit to the city involves exploring one of the world’s most expansive public areas – Tiananmen Square. There’s lots of great attractions to see here, including the National Museum of China, the Great Monument to the People's Heroes and the mausoleum of Mao Zedong. You’ll then continue through the south gate to the spectacular Forbidden City, an area adorned with palaces, pavilions and lush gardens. It once served as the imperial palace for emperors for more than 500 years, making it a UNESCO World Heritage Site. After lunch, you will journey to the Temple of Heaven, which the Qing and Ming dynasties journey to for their annual ceremonies of prayer to heaven. End an exciting day with a delectable Peking duck dinner. 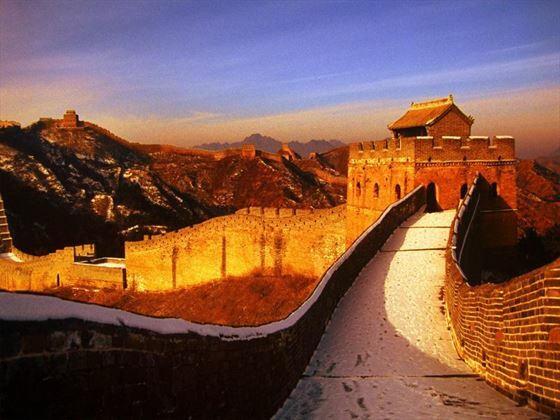 Today you will have the chance to see one of the world’s most iconic attractions – the Great Wall. 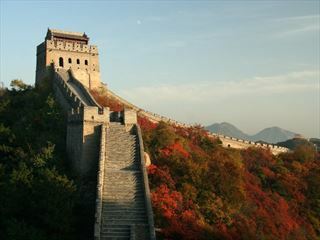 After you’ve taken in the views, you’ll walk the Sacred Way and visit the remnants of the Ming Tombs. These tombs were once the luxurious burial chambers of 13 of the Ming Dynasty’s emperors, and is now a UNESCO World Heritage Site. The morning is free for you to relax, before hopping on a rickshaw for a unique tour of the city’s ancient alleyways of the Hutong residences. Next up is a delicious Chinese lunch with a local family, before heading to a quaint tea house for a cup of tea and to learn about their tea making ritual. The afternoon will be spent spoiling yourself with a tranquil foot massage at the Foot Reflexology Centre. 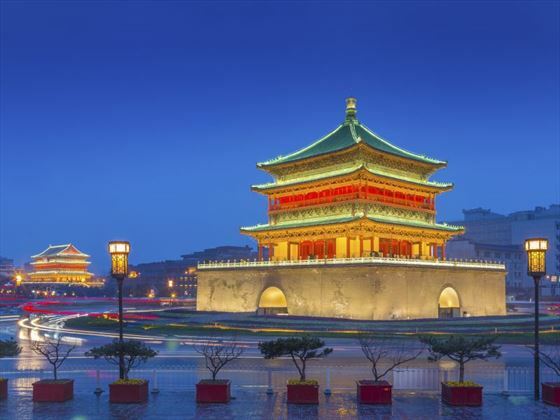 In the morning you will fly to Xi’an, starting your exploration of the city with a visit to the Big Wild Goose Pagoda, known as one of the most extraordinary landmarks in the city. Venture on this tour during term time, and you’ll have the opportunity to visit the children and teachers at a local primary school. The pupils love practicing their English, and may teach you a few Chinese words, too. 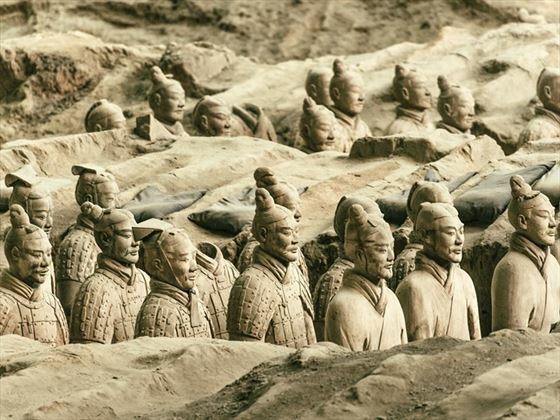 Next, you will journey to the outstanding Terracotta Warriors – incredible statues that depict the armies of Qin Shi Huang. Lunch consists of a delicious bowl of Chinese noodles, setting you up for your visit to a Jade factory. You have a choice of activities this morning – including a T’ai Chi Class, or a cycle tour around a part of Xi’an’s ancient City Wall. Once you’ve worked up an appetite, we’re certain you’ll enjoy your demonstration in the art of making dumplings – and you’ll even get to taste some yourself. Did you know that there are 21 different kinds of dumplings? Later on you’ll board a flight to Shanghai and visit the city’s incredible Jinmao Tower, offering amazing views as the 11th tallest building in Asia. 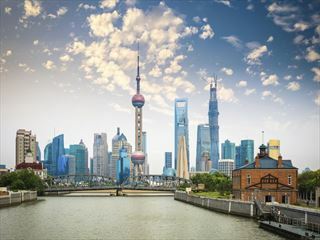 Start your morning with a walk along Shanghai’s famous ‘Bund’ – a waterfront adorned with both charming colonial buildings and impressive modern sky-scrapers. 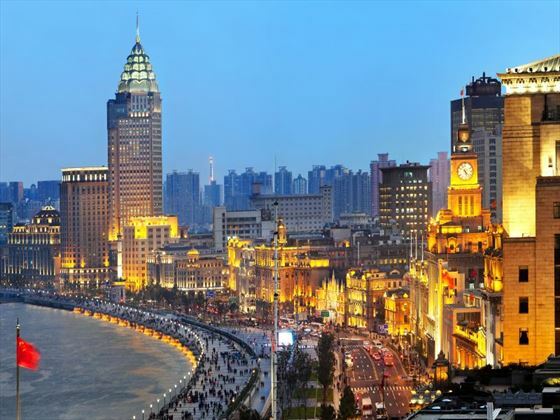 You’ll then move on to Old Shanghai, well known for its amazing, lively markets and cute winding streets. There’ll be a bit of free time for lunch and shopping in the Old Town, before a quick visit to a silk museum. In the evening, you’ll be treated to a special performance by the Shanghai Acrobatic Troupe. Your last day in Shanghai is free for you to explore as you wish. Treat yourself to a bit of last-minute shopping, or enjoy an optional excursion to Zhujiajiao – an ancient water town that was founded more than 1,700 years ago. Once a bustling market town, it’s now adorned with historical buildings, including spice stores, rice ships and a Qing Dynasty post office. You’ll then head back to Shanghai in the evening for a farewell dinner. In the morning you will transfer to the airport for a short flight to Yichang. Once there, you’ll enjoy dinner in a local restaurant before heading to the port and boarding your Yangtze River cruise. Your morning will begin with a relaxed cruise to the world’s largest hydroelectric project – the Three Gorges Dam. You’ll have the chance to disembark the ship for a tour around the dam, which is designed to not only generate power to fuel China’s economy, but also to control flooding on the Yangtze. Once back on the ship, you’ll get to see this awesome example of modern engineering up close as you pass through its five-level double lock system. Sailing through Xiling Gorge – the longest and deepest of the Three Gorges – you’ll be met with impressive views of unspoilt shores. After tucking into a hearty breakfast, you’ll board a sampan (a small boat) and sail along a tributary of the Yangtze River – the Shenny Stream. 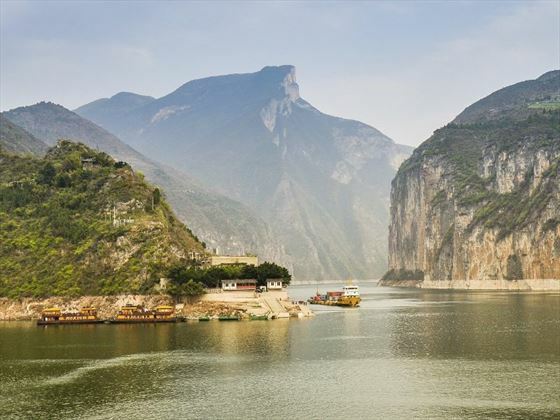 Soon you’ll board the ship again for a delightful lunch, with your cruise taking you along the most admired part of the Yangtze River – the 120km, otherwise known as the Three Gorges. Your morning will start with a shore excursion to Shibaozhai, a rugged 200 metre cliff home to a wooden temple right at the top. Stretch your legs and climb up to this wonderful temple via the red pavilion leaning against the cliff and serving as a pathway. After exploring the temple, you’ll hop on the ship again to enjoy some astonishing scenery, ending with a tranquil night docked at Chongqing. After breakfast, you will say goodbye to your ship in Chongqing, and board the high-speed bullet train to Chengdu – well known for being the hometown of the giant panda and for enjoying a slow lifestyle. Once there, you’ll wander through People’s Park (otherwise known as Renmin Park) and enjoy some fantastic people watching. From locals practicing calligraphy on the pavement and others napping in a tea house, to friends playing mah-jong and people enjoying a neck massage, this is a great way to see how the people of Chengdu live. There’s also fabulous gardens, a sparkling lake and local tea houses to explore. Today is a special day. In the morning you’ll join a local specialist for a visit to the Chengdu Research Base of Giant Panda Breeding. This non-profit research and breeding facility for giant pandas and other rare animals was created in 1987, and with a population of less than 2000, the work they do is incredible. After lunch you’ll journey to the city centre to stroll along the Wide and Narrow Alleys - two charming pedestrian streets home to 45 beautiful courtyards. These streets were once Chengu’s cultural areas dating back from the Qing Dynasty, but now they’re filled with brilliant restaurants, tea houses and little shops selling locally-made handicrafts. The vibrant Jinli Old Street is your next stop, keeping its old town charm with ancient architecture and old-worldly shops selling Shu Embroidery, calligraphy and paintings of celebrities. Get your morning to a tasty start with a trip to the Museum of Sichuan Cuisine, to learn about the traditional Sichuan cooking style. Crush chillies into a powder using a Qing Dynasty pestle and mortar, discover ancient books dating back to more than 3,000 years, and have a look at antique kitchenware as you explore the museum. You’ll then venture to Restaurant Alley to witness the dining experiences of the past, before visiting the Kitchen God to leave an offering, and try cooking a few delicious dishes yourself with a chef. Tuck into your flavourful creations for lunch, and then head back to the hotel for a relaxed afternoon. Transfer to Chengdu Airport for your onward flight. Activities: city tours of Beijing, Xi’an and Shanghai, see locals practising T’ai Chi, Shanghai Acrobat show, Tiananmen Square, Forbidden City, Temple of Heaven, Sacred Way, Terracotta Warriors, Jinmao Tower, Great Wall, visit a local family home, foot massage at Foot Reflexology Centre, cooking class in Chengdu, dumpling demonstration. Full of culture, incredible history and lots of charm, this wonderful nine-night tour truly delves into China's traditional lifestyle. Starting in Beijing and ending in Shanghai, you'll discover what makes this country so phenomenal, including walking the Great Wall, exploring cities on a rickshaw, cooking and tasting dumplings, and joining in with a T'ai Chi class. This awesome eight-night small escorted group tour is the perfect way to get a short but sweet insight into China's authentic charm. Travelling from Shanghai to Beijing, you'll discover some of the country's most spectacular attractions, including the Great Wall, Beijing's Forbidden City, and the Terracotta Warriors. 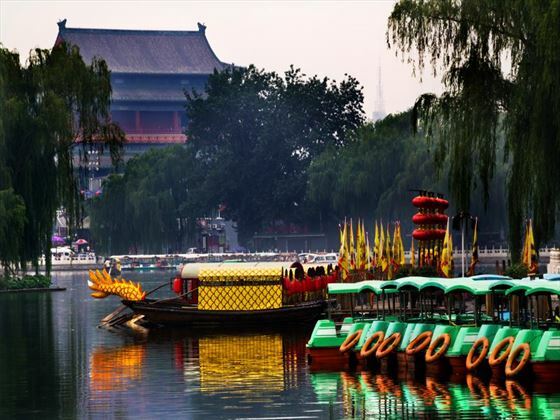 An enchanting 11-night tour of China including the highlights of Beijing, Xian, Yichang, Shanghai and Suzhou. 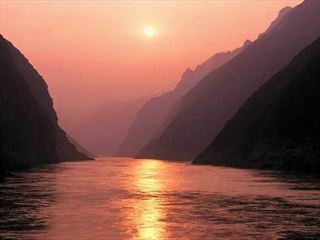 You will also spend a few days on the famous Yangtze River.